Machines at War 3 is a real time strategy game (RTS), which we can control more than 130 different types of units and technologies to research, over 21 missions in the single player campaign, with unique characters and intriguing story. In addition, we can play an unlimited number of skirmishes in random maps, with lots of customizable settings. It also has a network multiplayer mode in which we can face our friends and players worldwide for control of the battlefield. But what really stands out in this title, is the possibility of massive battles of more than 5000 units. 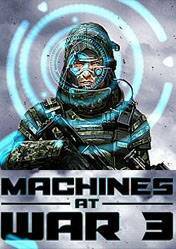 There are no comments yet about Machines at War 3 . You can be the first one!